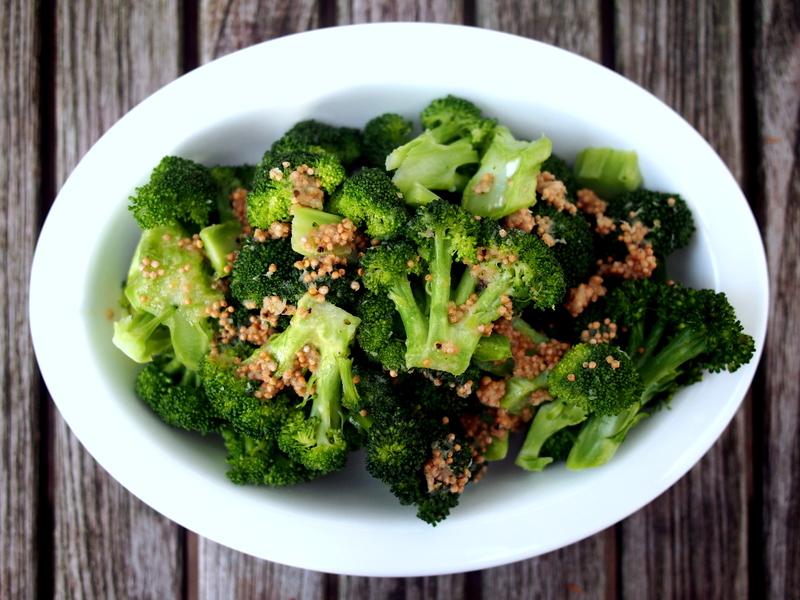 Broccoli is the Italian name for an edible green plant, related to the cabbage family, that has been a popular vegetable in Southern Italy since Roman times. 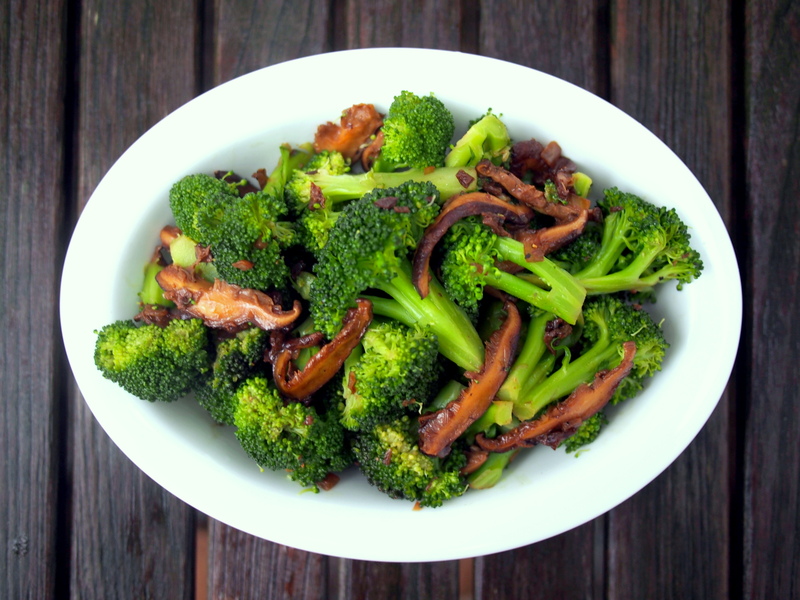 Broccoli reached England by the mid 18th century and followed Italian immigrants to the United States at the century’s end, but it was not widely known here until the 1920s. The most common variety found in groceries today, which features large green heads and thick stalks, is Calabrese broccoli, named after the Italian province Calabria. 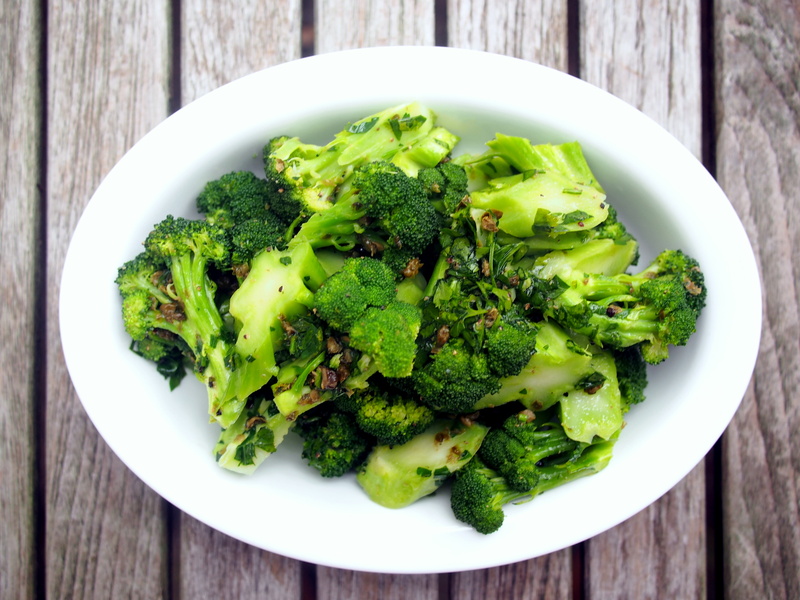 In Italy, other forms also are popular, including Romanesco and, most notably, rapini, known in the United States as broccoli rabe. Rapini’s slightly bitter taste is featured Southern Italian, Galician and Portuguese cuisines. 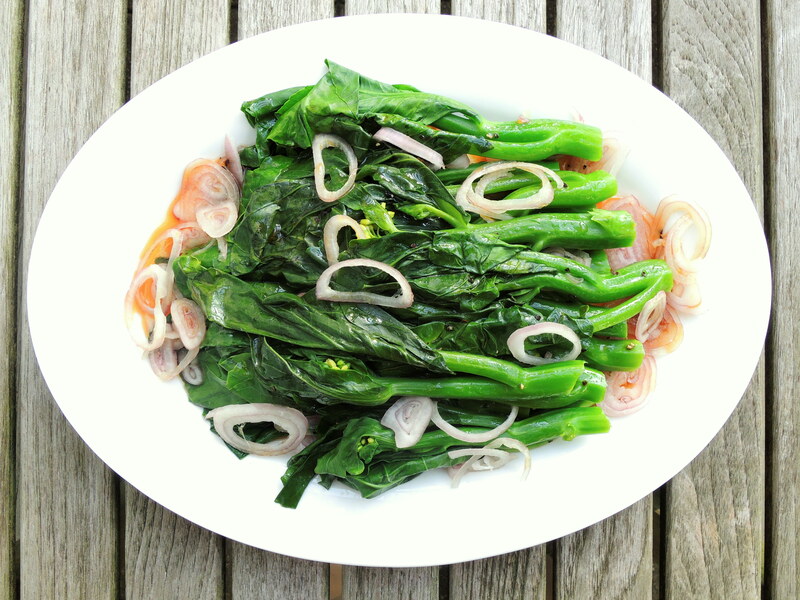 Kai-lan, or Chinese broccoli, another member of this clan, is used in Chinese, Thai and Vietnamese cooking. Its taste is similar to broccoli, but also is more bitter. 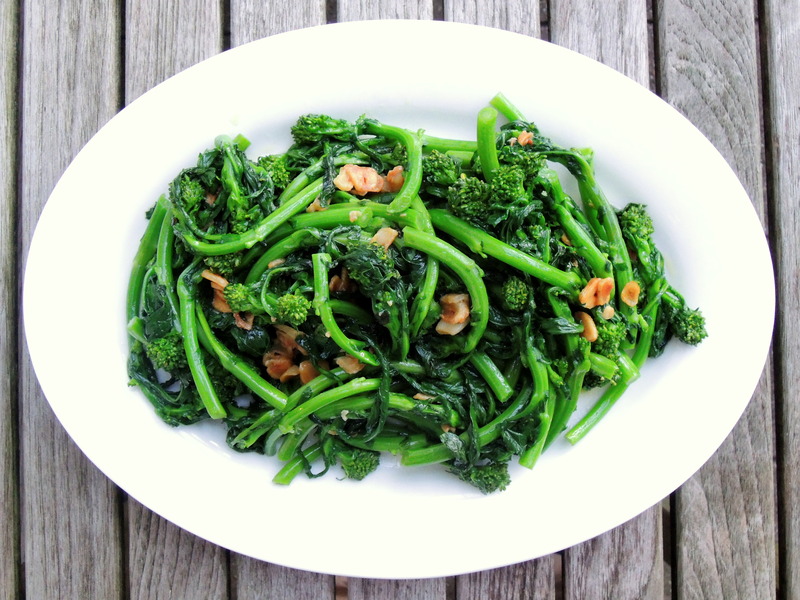 Broccolini is a hybrid between kai-lan and Calabrese broccoli. 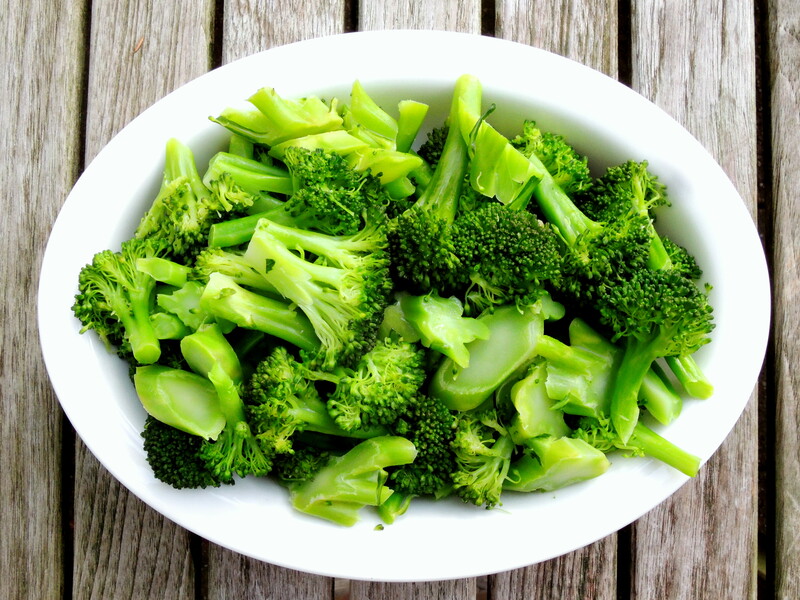 Broccoli is commonly cooked by boiling, steaming or stir-frying. The recipes that follow are for steaming, although some also call for a final, brief saute to heat the vegetable or add ingredients or flavor at the end of cooking.